Johannes Voet's encyclopedic work on Roman-Dutch law from A to Z is regarded as the founding authority on our common law. The Paris edition is the most complete and is substantially enhanced by Judge Percival Gane's selection, translation, editing, case annotations and explanatory notes. For the first time, the original chapters have been arranged in a subject index of modern legal concepts, making the content more accessible than ever before. This seminal work can now be electronically searched with keywords and, when you find pertinent sections, you can print or save the original printed pages. 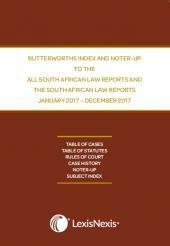 Bolster your research and arguments with this enduring pillar of South African common law, still relied on in judgments, commentary works and textbooks.